1. Press the Windows-Button + C. Then click on "Search" on the right! 2. Enter "services.msc" and press Return. 3. 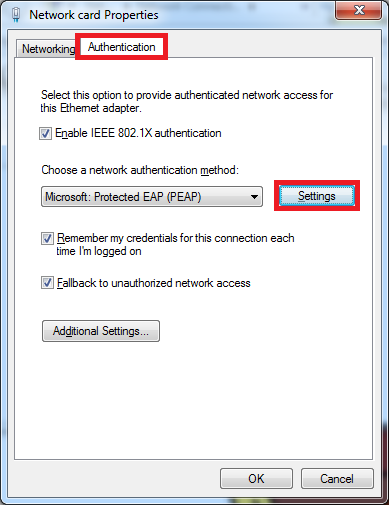 Search for "Wired AutoConfig" and then right-click on "Properties". 4.Set "Startup type" to "Autommatic" and click on "Start"! 5. 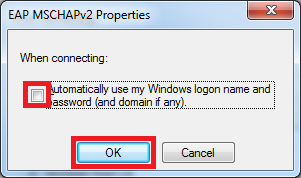 Click "OK" in order to close the window. 1. 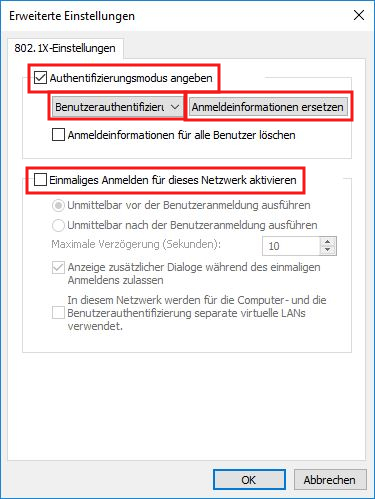 Press Windows-Button + C and search for "Network Connection"-> "Right-click on your network card (NOT WIFI! NOT 1394! NOT VMWARE!) and click on "Properties"! 2. Open "Authentication"! Select "Settings". 3. 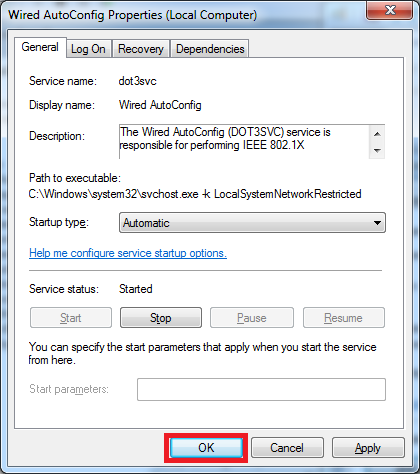 Active the Certificate "DST Root CA X3 "and click on "Configure..."! 4. REMOVE the tag! Close the window with "OK". 5. Close the window with "OK"! 6. 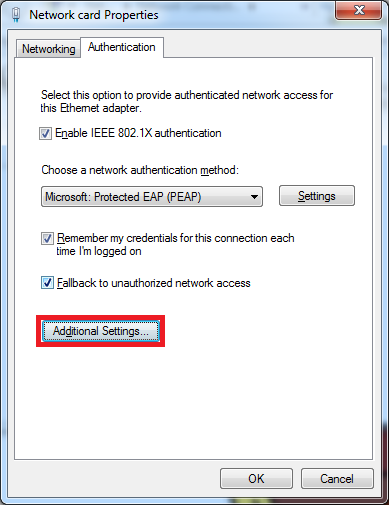 Click on "Additional Settings"! 9. 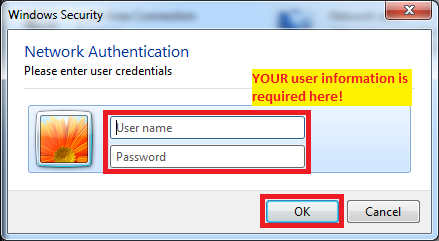 Now you should get a notification, that windows needs your username and password. Click on it! 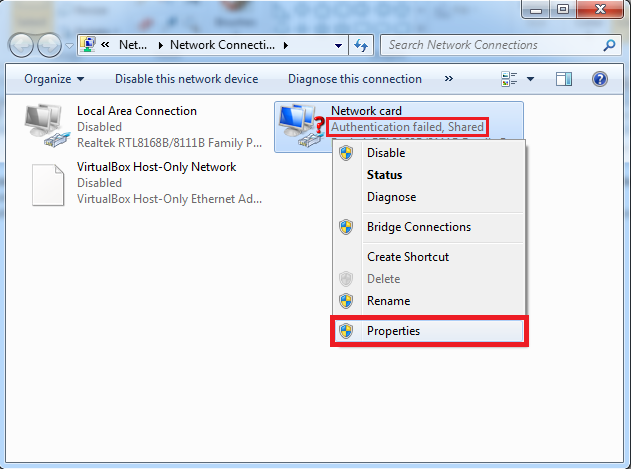 If you can not see this message, try to dis- and enable your network card. 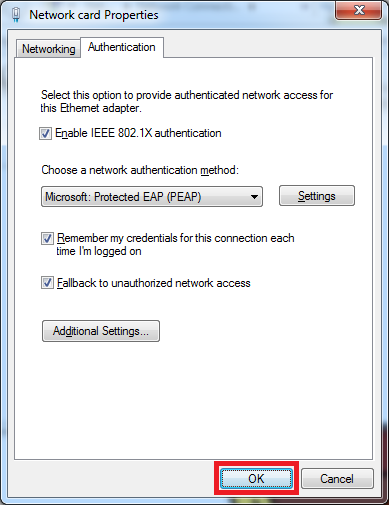 Also try to plugin your network cable once again. A restart of your windows can help, too. 10. Enter your username and password! Now the internet should work.